When it comes to tooth replacement, dental implants are the longest-lasting, best-looking way to restore missing teeth. A dental implant is simply a tiny post embedded in the jaw that attaches onto a dental crown. The crown fills in the gap left by a lost tooth to restore the appearance, health, and full use of your teeth. Dental implants are often recommended by both dentists and patients because they look, feel, and function just like your natural teeth. And while the cost of dental implants may be more than other options, their many benefits make them well worth the extra dental implant costs. While living with missing teeth can be distressing and difficult, dental implant surgery is a completely comfortable procedure. It is minimally invasive and leaves little to no post-procedure discomfort. For most people, the placement process is very simple. In more complex cases, the procedure can span over several months. But people with basic cases can actually get same day dental implants. 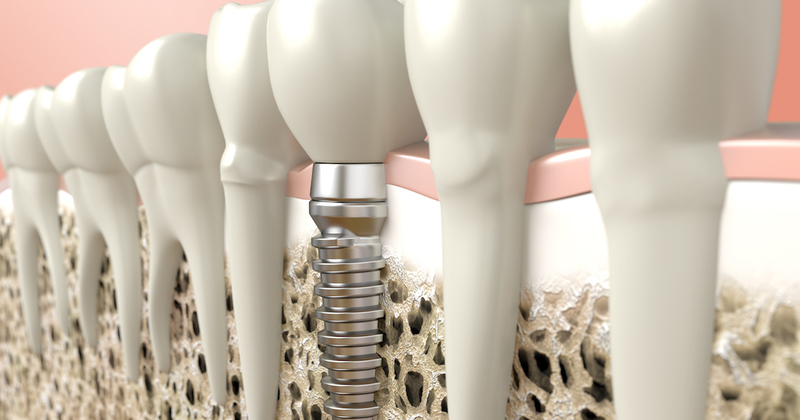 Thanks to advances in dentistry, same day dental implants are becoming more common for more cases. To see if you’re a candidate for treatment, you first have to get a complete dental examination. If you have a sufficient amount of jawbone, you can have the procedure at any time. If not, you will strengthen the bone with bone grafts, which can increase the cost of dental implants. While dental implant costs may be slightly higher than other options, they do not require the regular replacement or cause the later dental health problems that other options do. 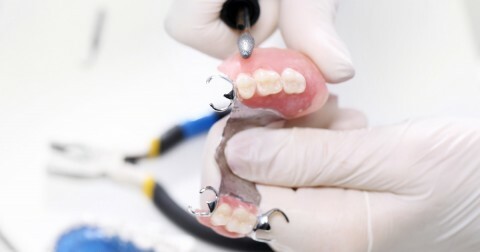 Once the dental implant is inserted into the jawbone, it will fuse to the bone over the next few months, ensuring that the implant is stable and secure. Once it’s fully healed, you will regain a full smile that looks, acts, and feels just like your natural teeth.